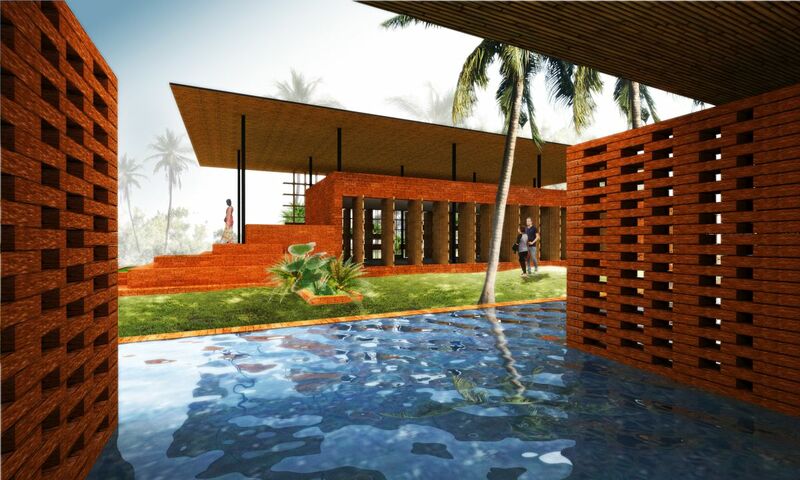 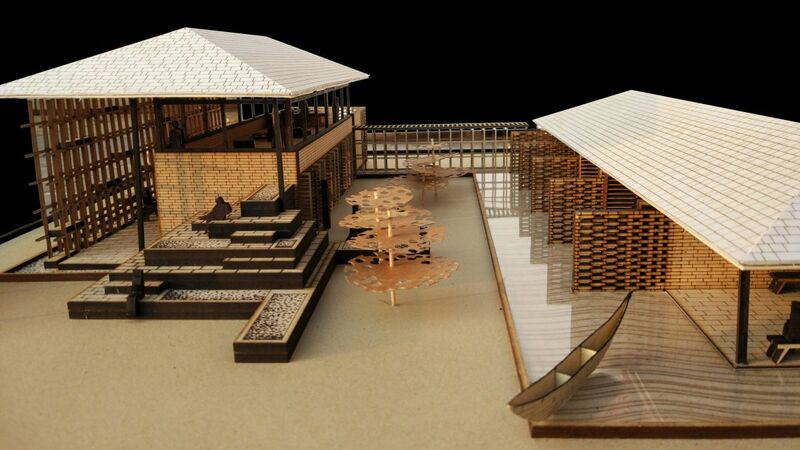 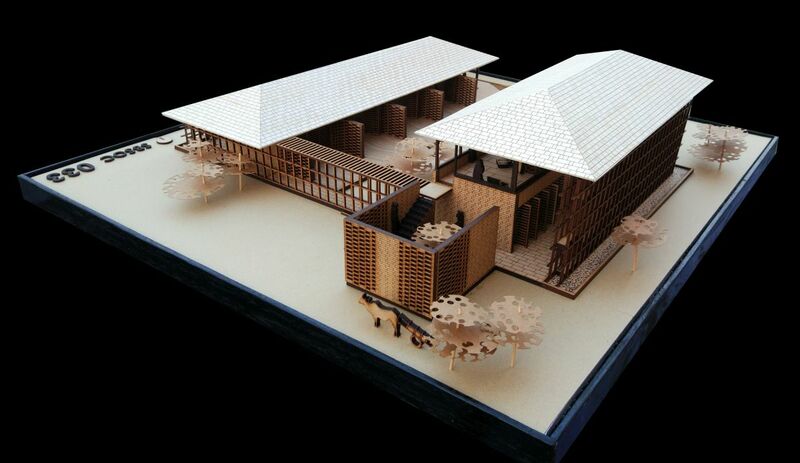 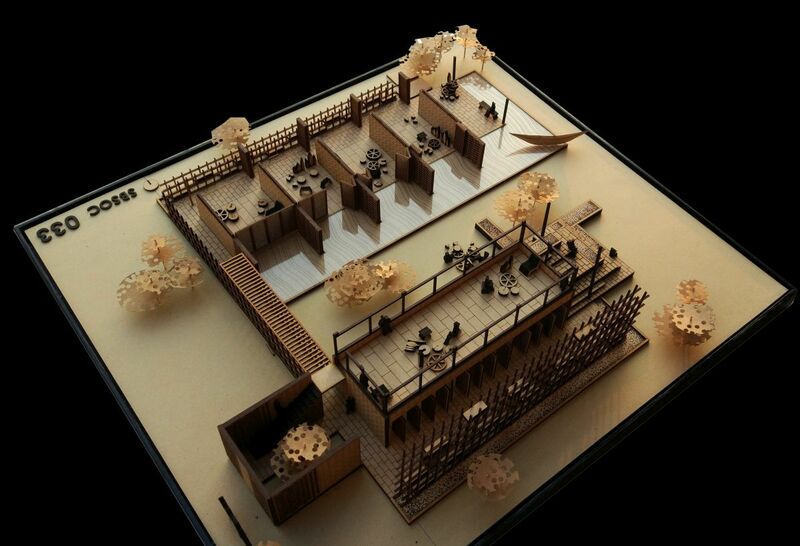 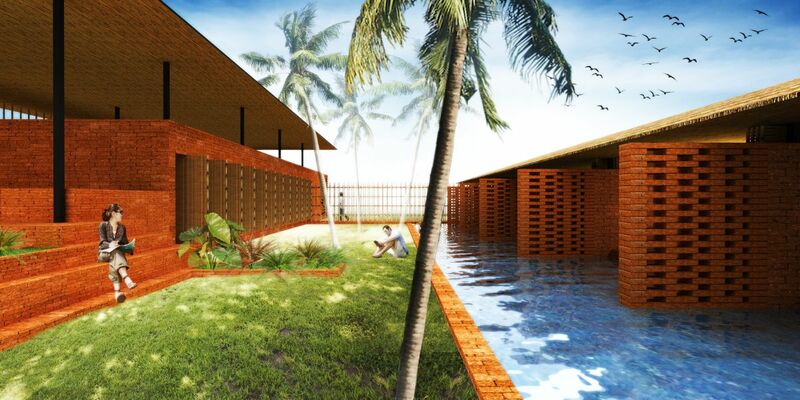 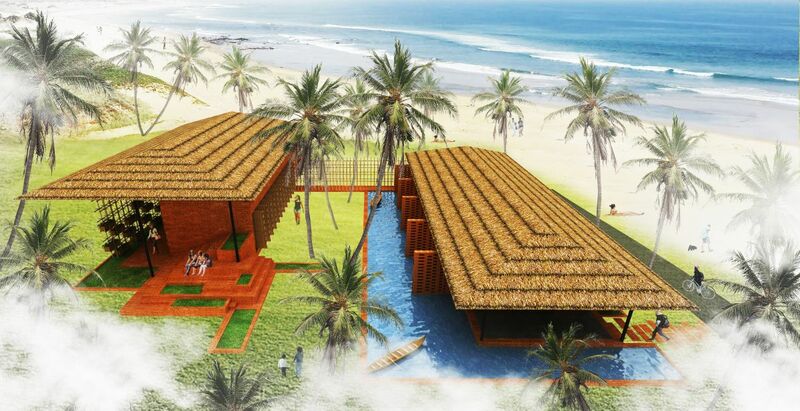 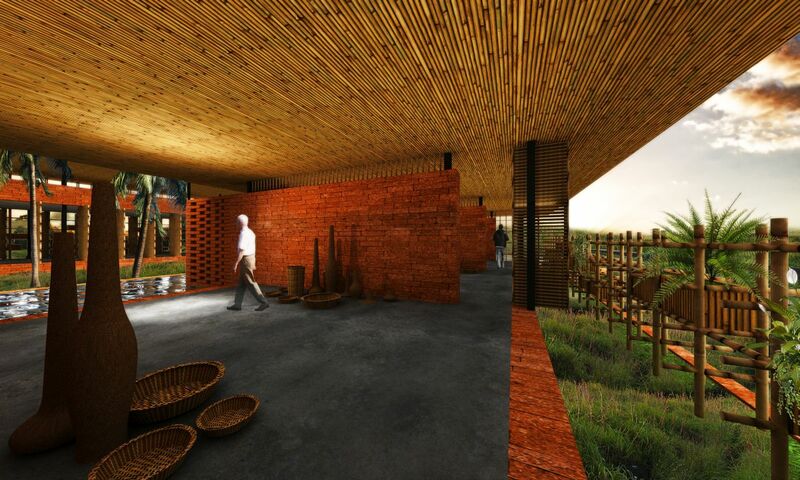 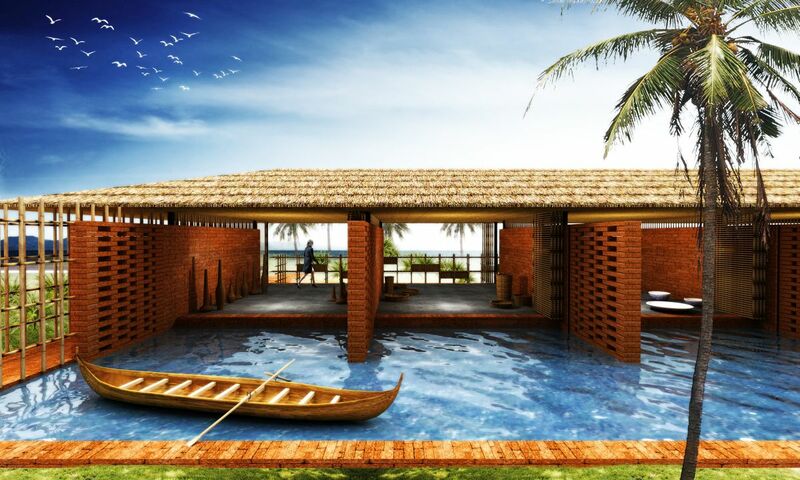 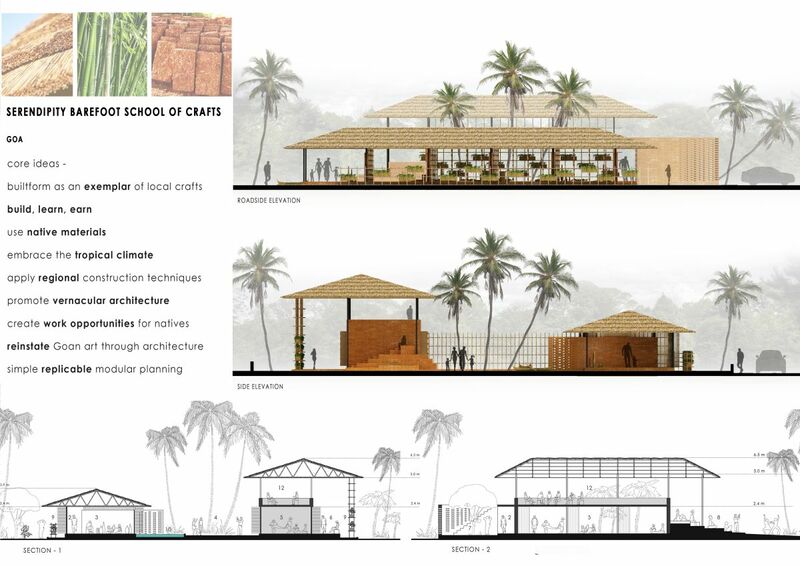 Unbuilt: BAREFOOT SCHOOL OF CRAFTS, made in Goa - Competition Entry for Serendipity Arts Festival - ArchitectureLive! 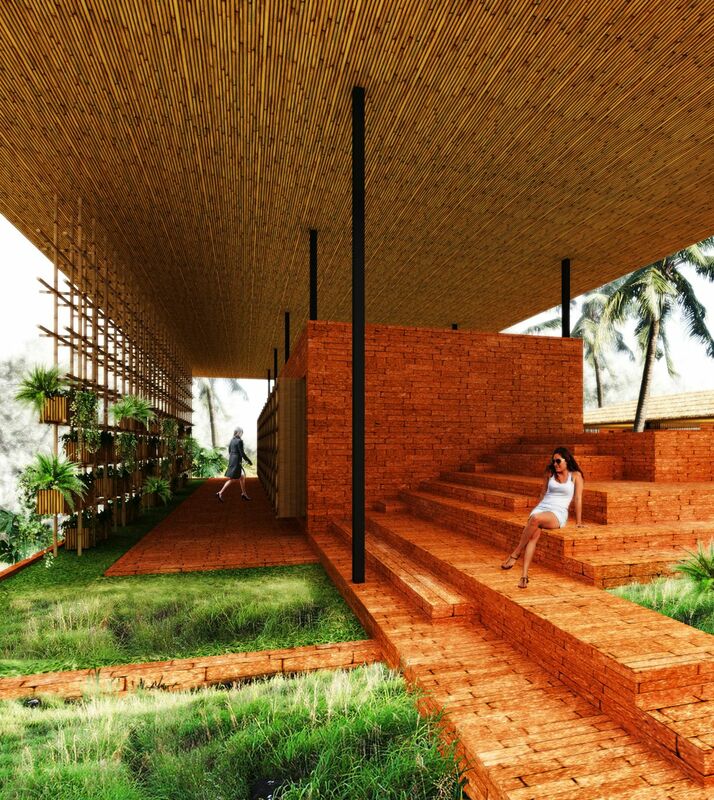 Conceptualizing on the idea of Build, Learn and Earn, where the natives build it, learn in it as also earn a livelihood through it. 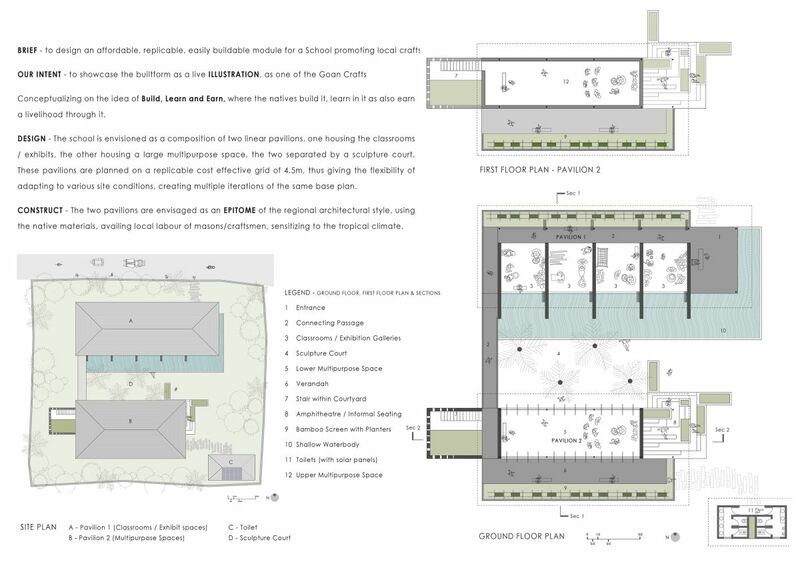 DESIGN – The school is envisioned as a composition of two linear pavilions, one housing the classrooms / exhibits, the other housing a large multipurpose space, the two separated by a green court. 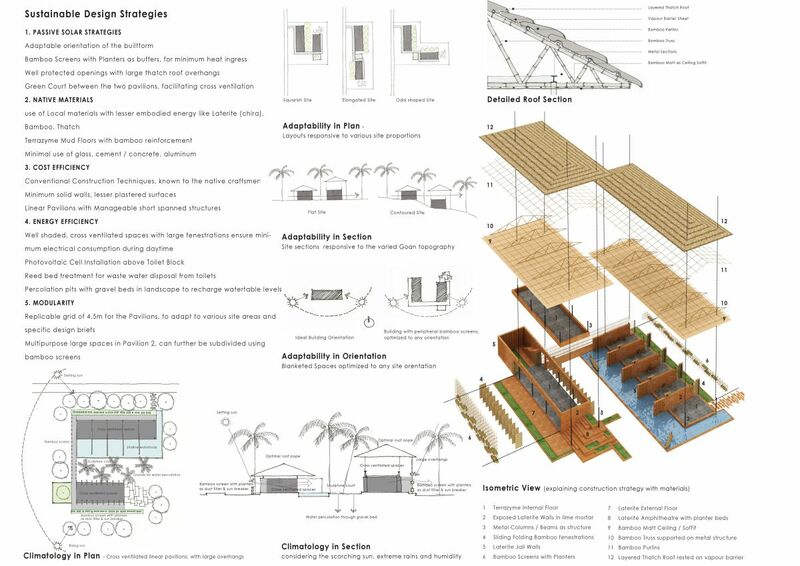 These pavilions are planned on a replicable cost effective grid of 4.5m, thus giving the flexibility of adapting to various site conditions, creating multiple iterations of the same base plan. 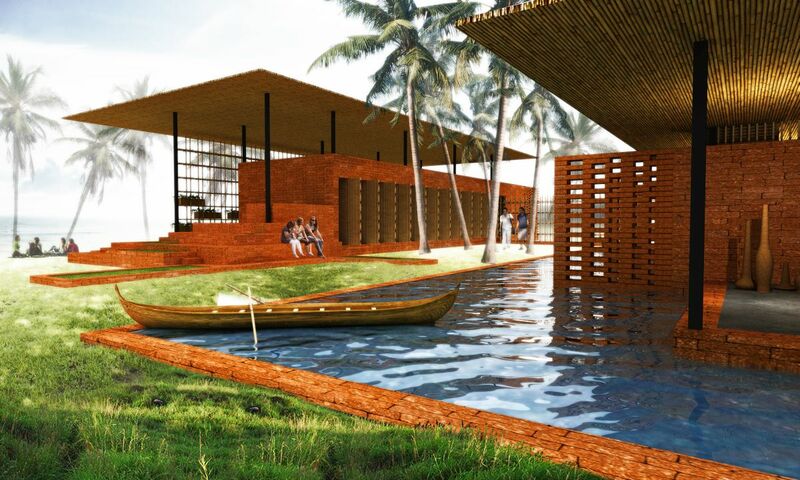 CONSTRUCT – The two pavilions are envisaged as an EPITOME of the regional architectural style, using the native materials, availing local labour of masons/craftsmen, sensitizing to the tropical climate.